We are adding Online Order service to Asian Kitchen Chinese and Japanese Restaurant. You can now browse our latest menu and place orders online, or give us your feed back and suggestion online. We provide Fast Delivery too (Min.$15.00, within 5 miles). Located at 7605 US Hwy 70 Suite 104, Bartlett, TN. 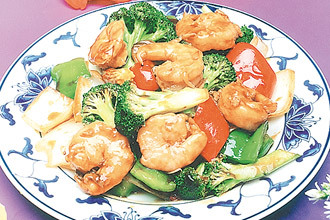 Our restaurant offers a wide array of fine Chinese and Japanese dishes, ranging from traditional dish such as Shrimp Chow Mein, Kung Pao Chicken, Sashimi Deluxe to new style entrees such as Hot and Spicy Chicken,Pineapple Shrimp, Volcano Roll. Try our food and service today. Come in for a Lunch Special or during evenings for a delicious Chinese and Japanese dinner. You can also enjoy your favorite Chinese and Japanese Food for take out or delivery. Our goal at Asian Kitchen Chinese and Japanese Cuisine is to provide an unforgettable dining experience for all our patrons.